Cats love this hanging organic catnip toy. For one, it’s stuffed with organic catnip. Plus, it makes a soft rattle sound when pawed for absolute purrfection! You’ll love it too. After all, it’s handcrafted from sturdy designer fabric and comes in three color options. The thick bungee cord is strong enough to withstand all kinds of biting and pulling without breaking. It’s easy to hang from a variety of surfaces, including almost all our products. No frills, no nonsense. Just high quality cat toys made in USA. Hang this catnip toy from a variety of places, including any of our modern cat trees or wall mounted cat shelves. 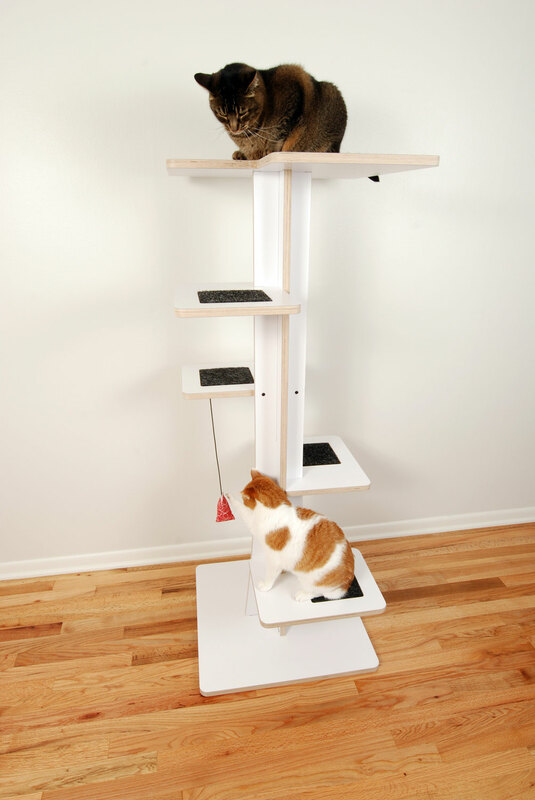 Sure to keep your cat entertained, this hanging cat toy is built tough to last—no matter how frisky your feline gets with it. 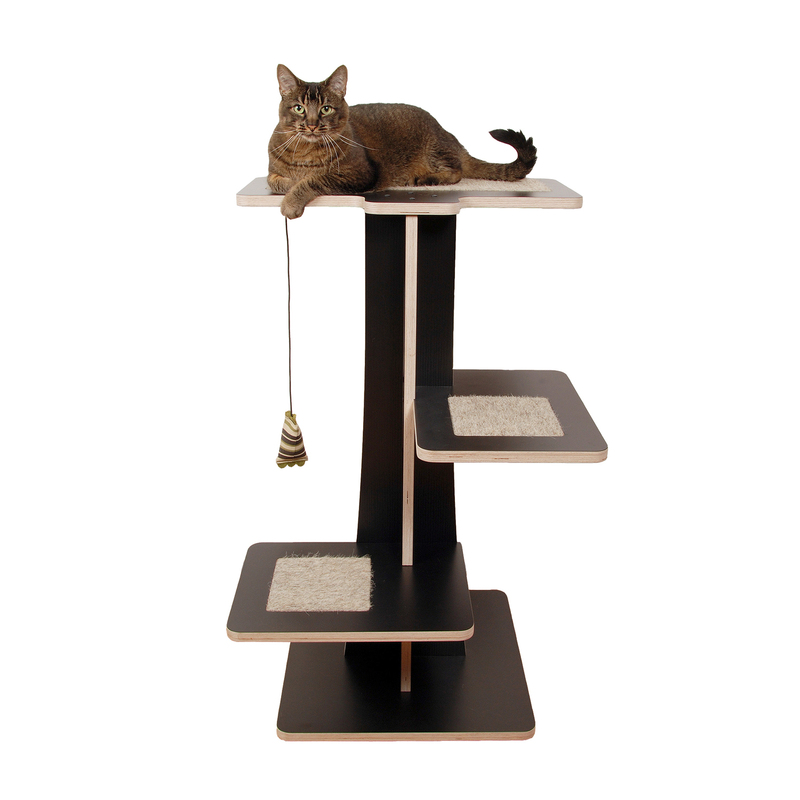 Like all our modern cat furniture and toys, it is stylish enough to compliment your décor. The modern print looks great in all three colors. Pick your favorite: mint, tangerine, or pink. This catnip toy is handcrafted in the USA using high quality materials and organic catnip. Plus, a portion of sales is donated to cat charities. Buy with confidence, check out our 30-day return policy. Best. Toy. Ever. This is the favorite toy of one of my cars. It features a misshaped body with a quite noise and long tail. 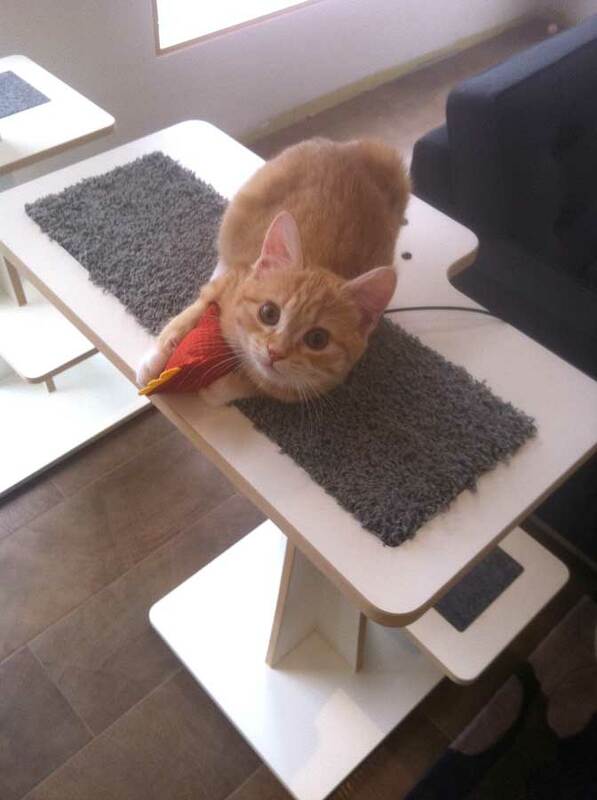 We don't bother to hang it because the cats love to roll around with it. It's about the size of the tree rats in the yard and they shake it in their mouth as if it's a live one. Not sure if there's catnip inside, but I seem them licking the fabric. Best $10 spent.